Top Democratic Party leaders have insisted that US President Donald Trump not get a sneak peek at the Mueller report, which the special counsel delivered to the attorney general earlier Friday. 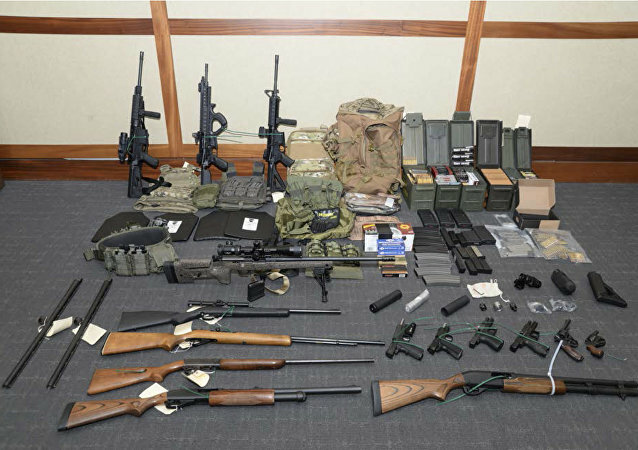 Last Friday, police apprehended Christopher Paul Hasson, a US Coast Guard lieutenant they say was a “domestic terrorist” and self-identified white supremacist, with a laundry list of politicians he intended to target. Hasson is only the latest violent white supremacist to be outed in the US military, illustrating a growing problem for the service. Ralph Northam, Virginia’s Democratic governor, has found himself in hot water after a page from a student yearbook surfaced with one of the photos featuring two persons, one wearing a KKK hood and the other blackface. The governor initially admitted being on the photo, but backtracked on his statements in a press conference on 2 February. Earlier, the US president condemned reports by top intelligence officials, which said that Iran was not pursuing its alleged nuclear weapons programme. Trump slammed the intelligence chiefs as "extremely passive and naive when it comes to Iran", suggesting that they should "go back to school". WASHINGTON (Sputnik) - US Senate Majority Leader Mitch McConnell scheduled a Thursday vote to fully fund the border wall demanded by President Donald Trump and Senate Minority Leader Chuck Schumer responded by calling up an amendment that would reopen the government for two weeks with no wall funding, according to the Senate Democrats website. Trump's Immigration Deal: Can It Bring Peace to a Divided Congress? President Donald Trump has tried to get the government up and running as the fight between congressmen over border wall funding has stretched into its fifth week, leading to a lapse in funding for government workers. The partial government shutdown which began last month over disagreement between the White House and Congressional Democrats over funding for a border wall is on course to becoming the longest in US history, with no end in sight. Sputnik discussed the crisis with Mark Burns, a pastor and former Congressional candidate who supported Trump in 2016. 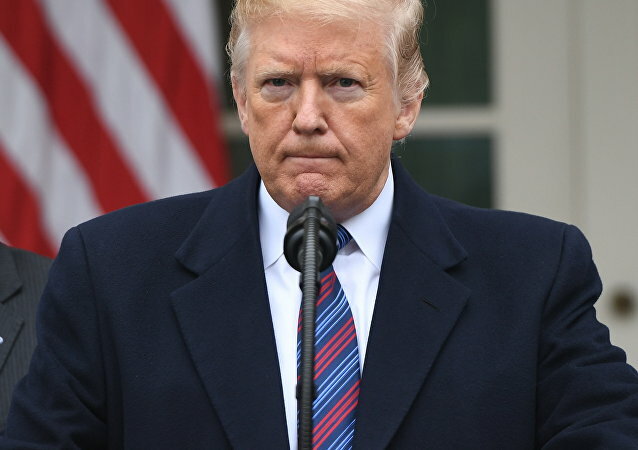 Trump has reiterated his threat to declare a national emergency, which could give him the upper hand in his fight for border wall funding with Democratic lawmakers, who gained majority in the House of Representatives following the November midterm congressional election. WASHINGTON (Sputnik) - The time has come for US President Donald Trump to use emergency powers to fund the construction of a wall on the US border with Mexico, Senator Lindsey Graham said in a statement. 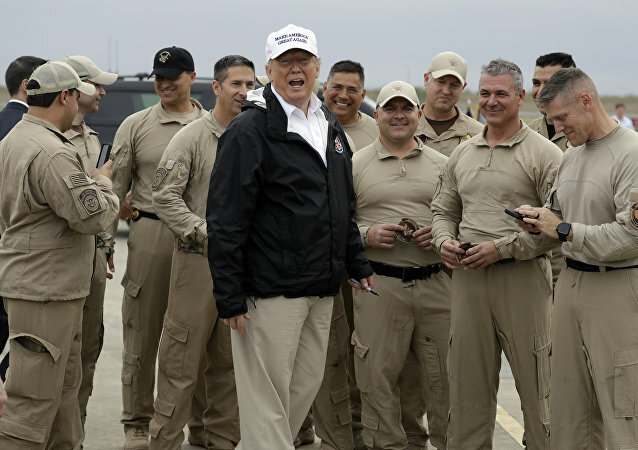 WASHINGTON (Sputnik) - President Donald Trump told reporters he is closer to declaring a national emergency in order to enable the construction of a wall on the US border with Mexico. Trump's latest meeting with Pelosi and Schumer on Wednesday failed to put an end to the ongoing partial government shutdown, with the president walking out and calling the talks a complete waste of time. 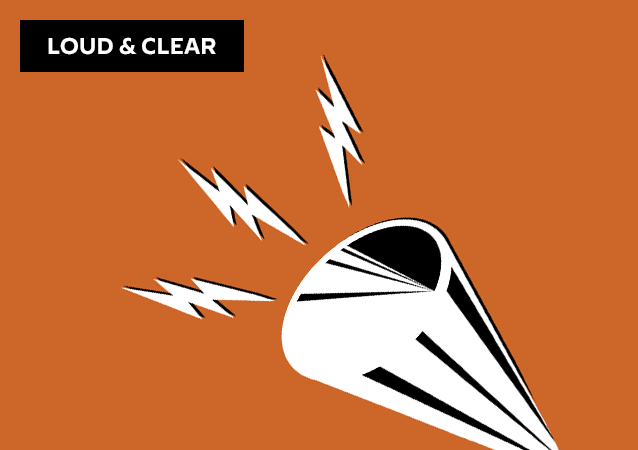 On today's episode of Loud & Clear, Brian Becker and John Kiriakou are joined by Jacqueline Luqman, the co-editor-in-chief of Luqman Nation, which hosts a livestream every Thursday night at 9:00 p.m. on Facebook, and by Sputnik news analysts Nicole Roussell and Walter Smolarek. US President Donald Trump's national address and the response from House Speaker Nancy Pelosi (D-CA) and Senate Minority Leader Chuck Schumer (D-NY) on Tuesday highlight that officials on both sides of the political divide are putting on a show for the American people, Jacqueline Luqman, the co-editor-in-chief of Luqman Nation, told Sputnik. WASHINGTON (Sputnik) - US President Donald Trump may abandon his plans to attend this year’s World Economic Forum in Davos, Switzerland, if the deadlock with Democrats in Congress over the federal government shutdown continues, US media reported. US President Donald Trump in a statement on Wednesday said his meeting with House Speaker Nancy Pelosi and Senate Minority Leader Chuck Schumer to discuss ending the government shutdown was a total waste of time. The two Democratic politicians slammed Trump’s alleged obsession with the "ineffective, unnecessary" wall he seeks to build along the US-Mexican border, likening his actions related to the government shutdown to a "temper tantrum". 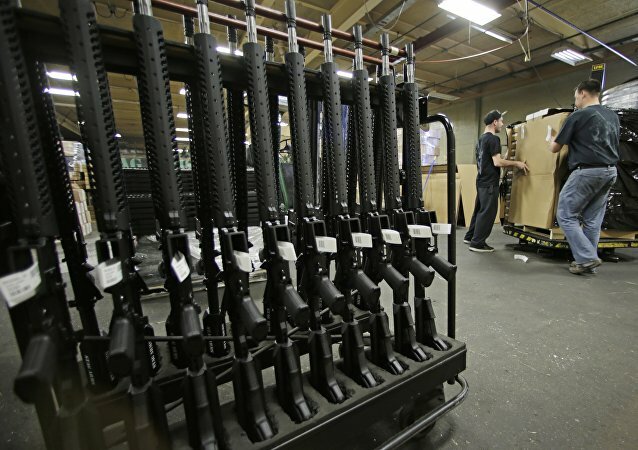 WASHINGTON (Sputnik) - More than 40 US senators reintroduced legislation that would expand federal background checks on all gun sales, Senator Catherine Cortez Masto said in a press release on Tuesday. 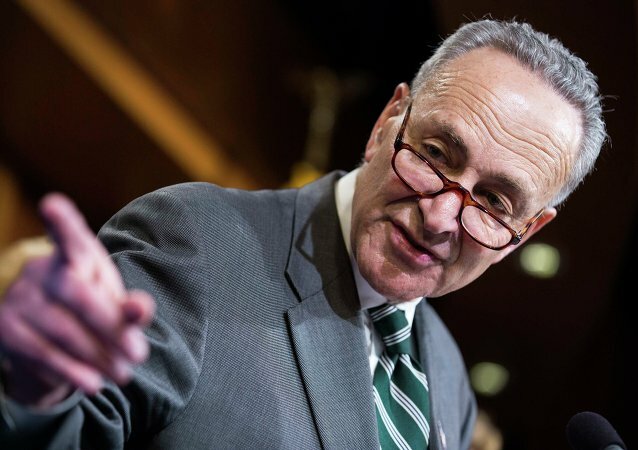 MOSCOW (Sputnik) –The Democrats’ leader in the US Senate, Chuck Schumer, prepared a resolution against the US Treasury Department's plans to remove US sanctions against Russian companies Rusal, EN+ Group and JSC EuroSibEnergo, the Daily Beast media outlet reported.